I woke up this morning with a serious hankering for coconut cake. Super coconut-y coconut cake. I love coconut, but I hardly ever eat it. I want to make coconut cake that actually tasted like coconut - not yellow cake, vanilla frosting and some coconut stuck to the sides. I searched high and low for a recipe that actually used it in the cake, but couldn’t find any I liked. So I decided to go with my tried and true favorite vanilla cake recipe. It’s seriously good, guys. But how was I going to make it coconut-y? Coconut extract, that’s how. I didn’t have any, so I had to run to the grocery store. It’s not a good idea to go to the grocery store on a saturday in a tourist town. OH MY GOSH. So. Many. People. Anyway, all they had was imitation coconut extract, but whatever works, right? So I had that under control, but then I had to work out what to do for frosting. As I’ve mentioned here, I’m terrible at frosting whole cakes. I should really take the time to learn how, but I just wasn’t feeling it today. Cupcakes were the obvious solution here. I still didn’t want to do vanilla frosting, so I looked around and found a coconut filling recipe (from the Magnolia Bakery Cookbook!) that sounded good. All I did was add a little more flour than it called for to thicken it up and it worked perfectly! It was delicious, I think next time I may use the coconut extract rather than the vanilla for extra coconut-y goodness. These were so good! The cupcakes came out perfectly thanks to the super vanilla cake recipe, and the filling/icing was delicious. I just toasted some coconut in the oven for about 5-10 minutes for the top! Adorable and tasty, best of both worlds. These would be great for a birthday party or any other kind of get together! Beat sugar and butter at medium speed with a heavy-duty electric stand mixer until creamy and fluffy, about 3 minutes. 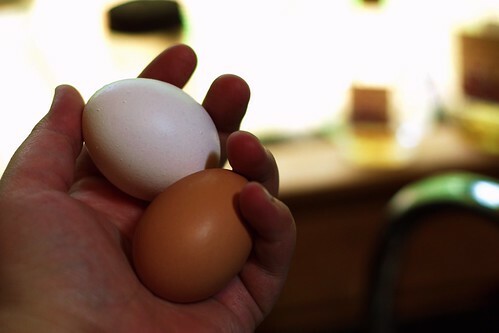 Add eggs, 1 at a time, beating until yellow disappears after each addition. Beat in coconut and vanilla extracts. Bake for about 20 minutes, or until a toothpick inserted in the middle of one comes out clean. In a medium size sauce pan, whisk the milk with the sugar and the flour until thoroughly combined. Cook and stir constantly over medium-high heat (about 5 minutes) until thickened and bubbly. Remove from heat and add the coconut. Stir in the vanilla extract. Cover and cool to room temp. YUM! 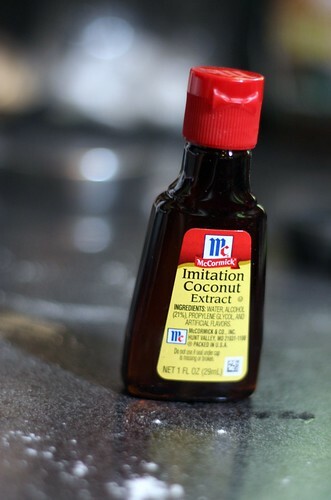 Wish I'd had this around when I was about to make a coconut cake last weekend - let's just say you should be glad you got imitation extract rather than some weird flavoring stuff that turned the frosting gray. Looks delicious! If you want to try a real coconut cake, use unsweetened coconut milk. It's rich and thick and will make your cake ultra moist! I bought a book a while back, called "Southern Cakes." It has around 7 million recipes for Coconut Cake. All of which I've drooled over and craved, but none of which I've tried. How lame am I? Thumbs up for craving something and going through with it. Looks like a winner! Those look amazing!! I've had a cupcake craving for a really long time now, but scared to make them in case I eat them all! Yum! I know so many people out there are complete coconut haters, which means that I would end up eating a good majority of these myself. I just added "coconut extract" to my list of things my mom in the states needs to send me in her next care package- it's impossible to get here in Norway. Thanks a bunch for sharing- I adore your photography, but of course, everyone says that, right? 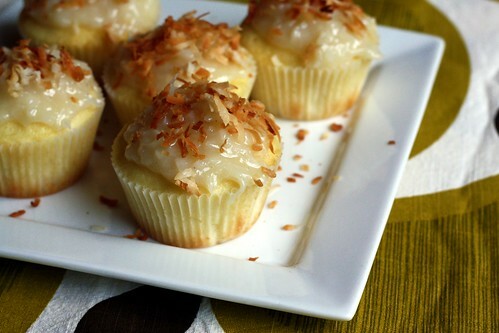 is it weird that these cupcakes make me want to make coconut cupcakes? they look amazing! the frosting looks perfect! love! I love coconut cake! These cupcakes look amazing. What gorgeous cupcakes! I love the flavor of coconut! Posts like these make me wish my husband likes coconut. These look great! 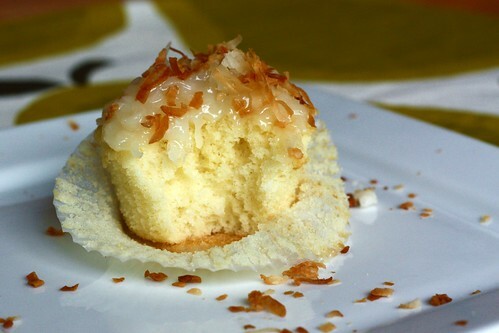 I've been wanting to make and EAT coconut cake too! Thanks for sharing! Your cupcakes look fantstic. Good call on the filling/frosting!